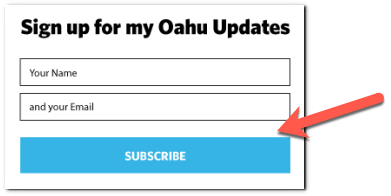 What does it take to have a highly rated HGTV “Hawaii Life” show, a high-trafficked website, and thousands of happy clients throughout the Aloha state? In short….it takes the dedication and skills of many people at Hawaii Life to pull it all together. Every single person at Hawaii Life is passionate about their role in the team. 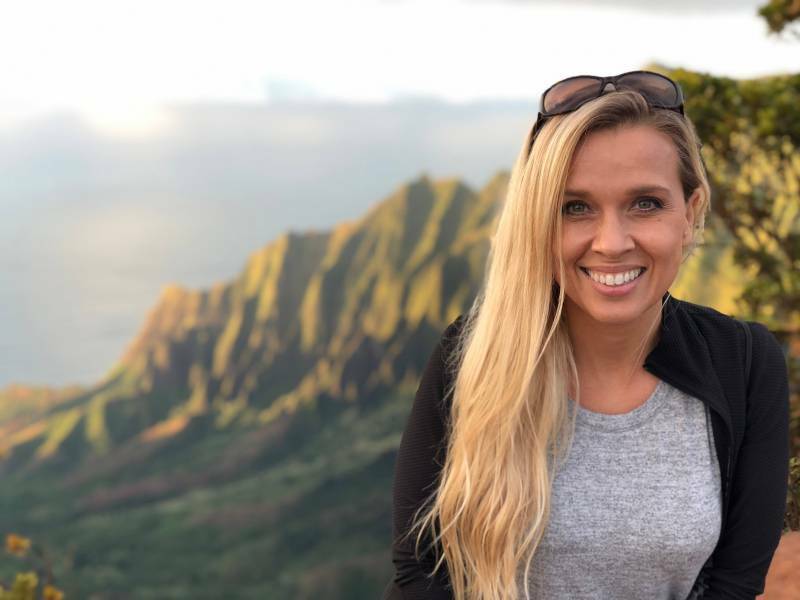 From the owner Matt Beall and our chief design officer Winston Welborn, our creative design team, our support staff, our brokers, to over 200 agents on Oahu, Maui, Kauai, and the Big Island, every individual works hard to deliver the Hawaii Life experience. It’s about sharing our local knowledge and the love of Hawaii with you, our followers and clients. 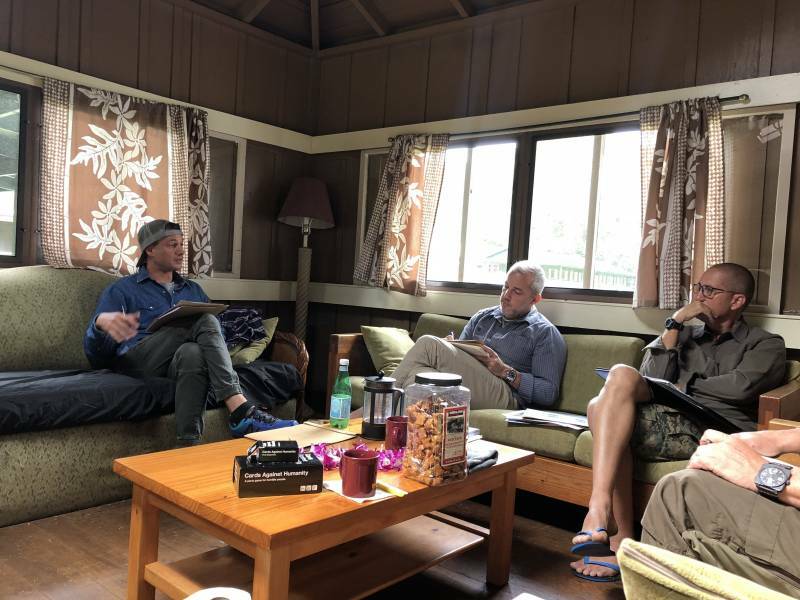 This past week, a number of us met on Kauai to learn, laugh, and to bring ideas to life. 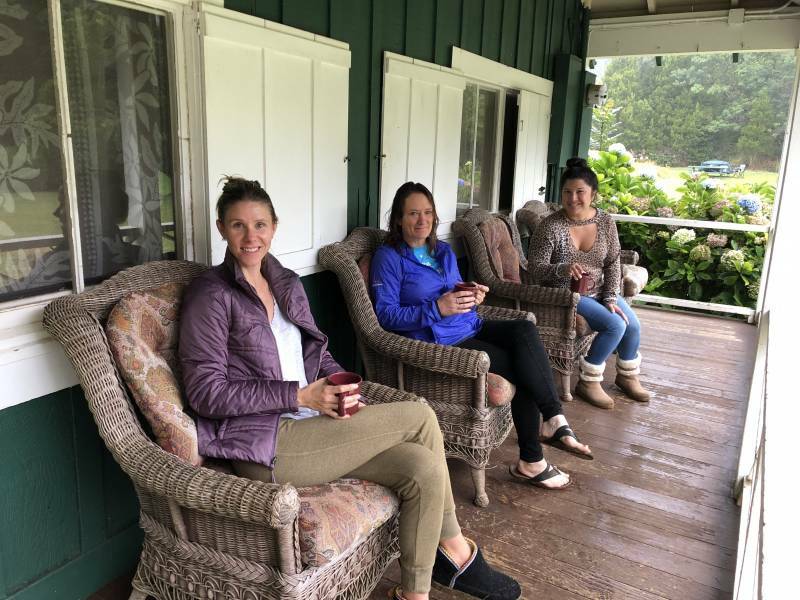 Let me take you behind the scenes of our work retreat where we gave up our cell phones, disconnected from Wi-Fi, and we sharpened our saws to be the best professionals in the state. 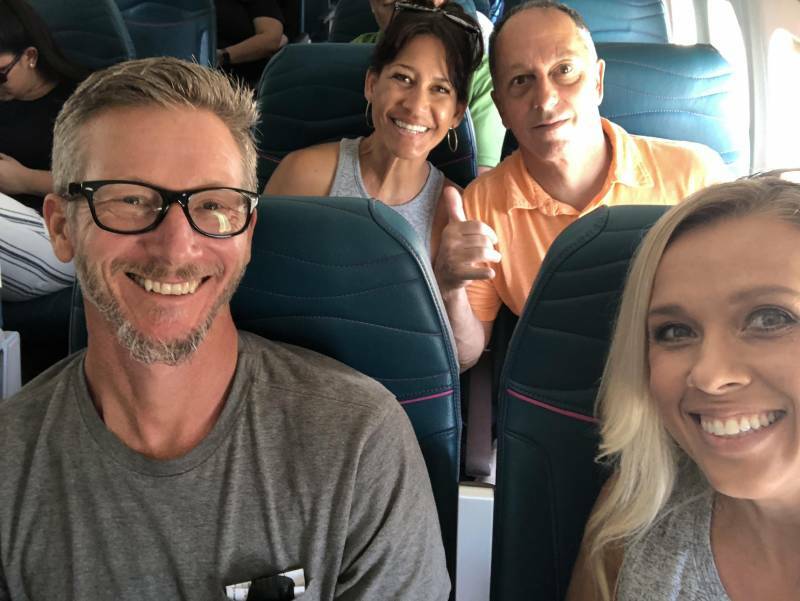 Oahu Hawaii Life team is Kauai bound. Nicole Fujitani, John Climaldi in the back. Kyle Bernhardt, and me (Kinga Mills) in the front. Short flights between the islands make our Hawaii life all the more fun. As soon as the drink service is over, it’s time to land. Whether we were coming from Maui, Oahu, or the Big Island, our travel left us smiling and definitely not too tired. 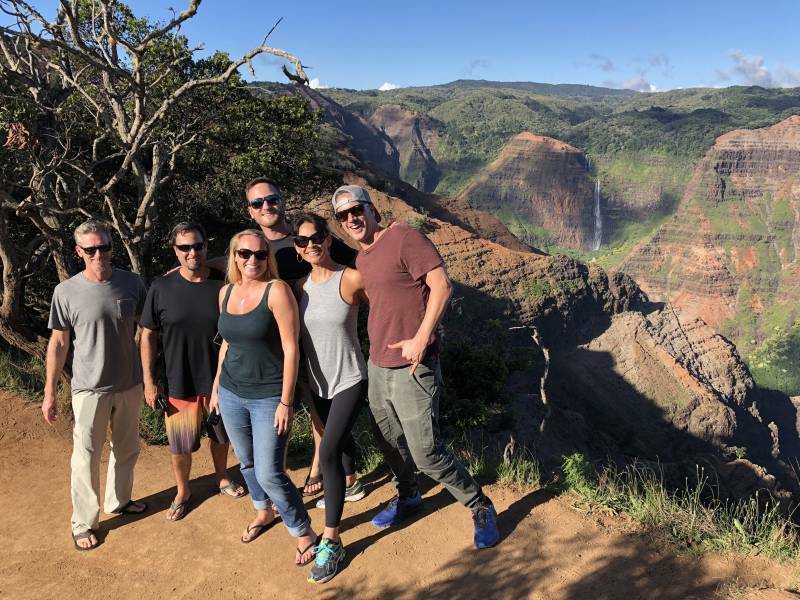 Hawaii Life team taking in the sights of Waimea Canyon on Kauai. Of course who wouldn’t take time for some photo opportunities. Kauai is often referred to as the Garden Isle, and it is gorgeous. It offers lush tropical forests, millions of flowers, stunning beaches, canyons, and valleys, not to mention the amazing scents that come with all the beautiful vegetation. Wild pigs and thousands of chickens roam freely around the island. For visiting urbanites, it’s an unusual site. For locals, it’s just another day on Kauai. Don’t all chickens walk on roads, visit restaurants, and hand out at parking lots? Right? Not the normal scenario, however, a very fun one to see. 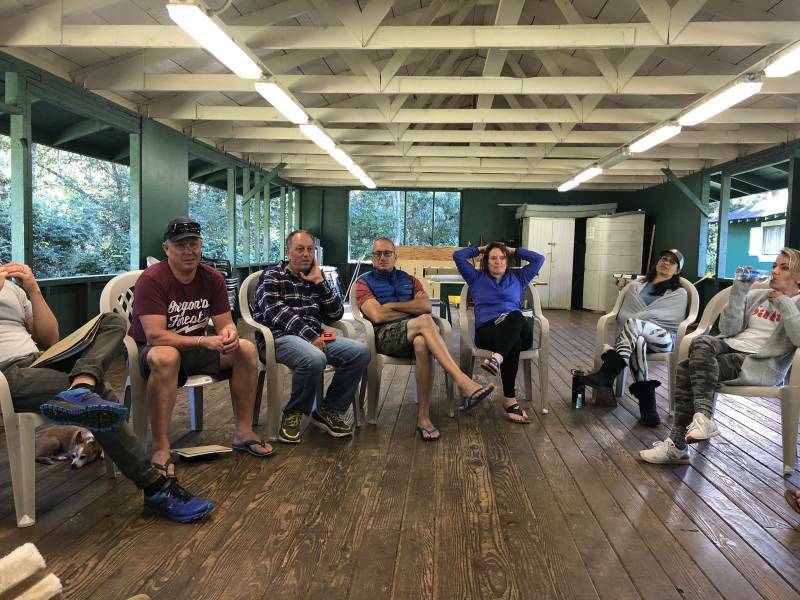 Our Maui, Oahu, and the Big Island teams met up at Lihue Airport and we made our way to Camp Sloggett to meet the rest of the Kauai crew. We stopped at Waimea Canyon to take in the amazing views of the canyon and stunning waterfalls. The sheer size of the canyon is breathtaking, and the red and green colors really bring it to life. 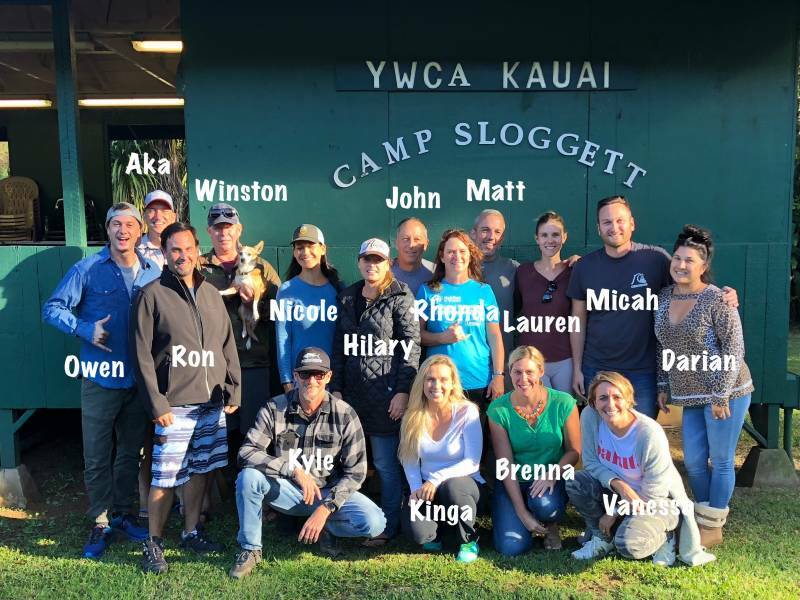 Hawaii Life Oahu, Maui, Kauai, and the Big Island agents, along with our brokers, and our guests at Camp Sloggett. Here we are, relaxed, cell phone free, and amazingly…still smiling. It’s great to unplug once in a while. The time allowed us to let our ideas flow and for our minds to absorb all the great information that was being shared. One of many training sessions with Hawaii Life Owner/Broker Matt Beall. 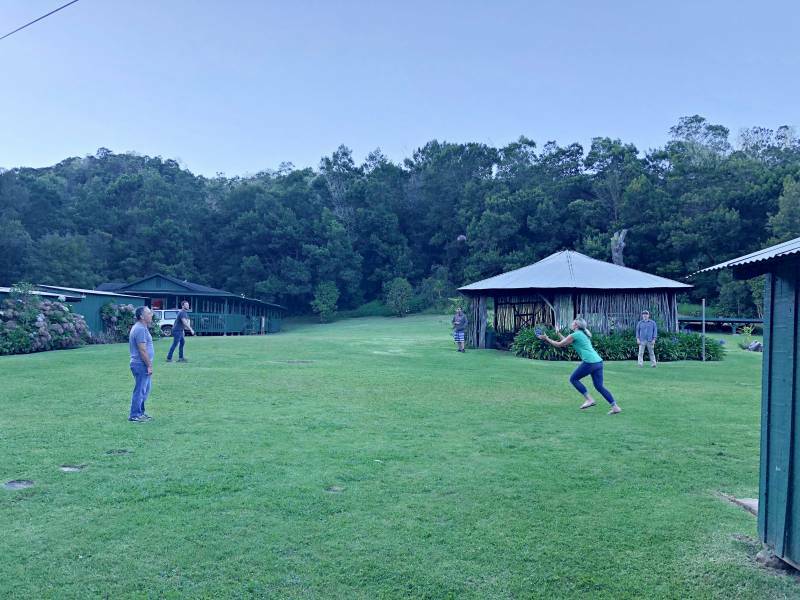 The beautiful setting of Kauai’s Camp Slogett and the peaceful environment allowed us to be present in the moment. We spent many hours learning and looking for ways to be better at our craft. As real estate professionals, we are in the business or delivering the best home buying and selling experience for our clients. That takes practice, local knowledge, and staying on top of the market. We want to make sure that we are representing our clients in the best way possible. Camp Sloggett, where we were staying, is located a short distance from the most amazing view on the planet. We were not going to waste an opportunity to see and take photos of the Kalalau Valley while on Kauai. One can easily stand at the lookout and just stare at the green mountain range and the blue ocean in the distance for quite some time. Even for Hawaii residents, where we are used to beautiful sceneries around us, this view was mesmerizing. It’s definitely a must see when visiting Kauai. 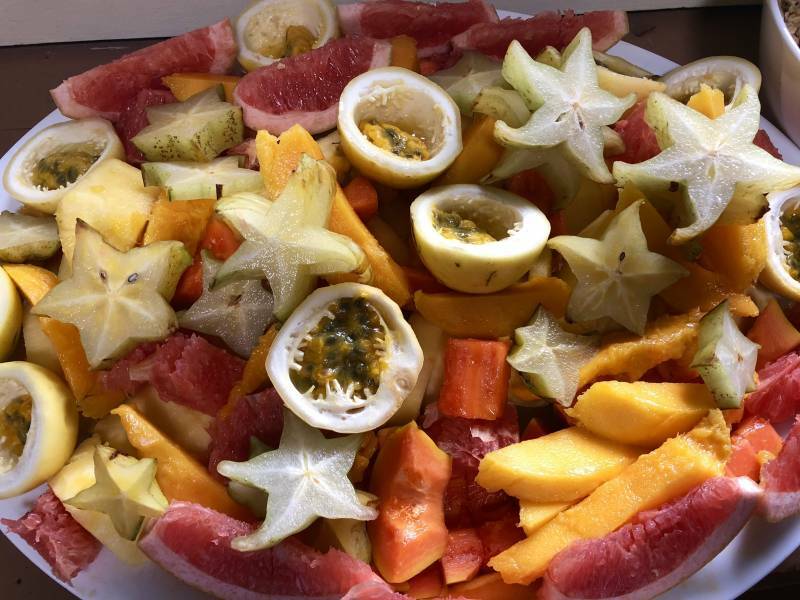 Grapefruit, star fruit, papaya, mango, guava fruit salad. Yummy!!! I can’t say enough about the good food that we ate over the three-day stay. Fresh fish, poke, fresh vegetables, flower decorated meals, to the most delicious fruit salad. Fuel for the mind. Our accommodations were rustic and away from any city lights. It was great. The air was fresh and the stars lit up the night sky. It did get cold when the sun went down. Brrrr… All of us used to mid-80 degree weather, definitely got a shot of cool, crisp air between dusk and dawn. Since our cell phones did not work, I can’t be sure how cold it actually got, but my best guess would be in the low 50s. Hot coffee was flowing in the morning to defrost us “warm weather” people. A campfire, music, and a fun group of people. 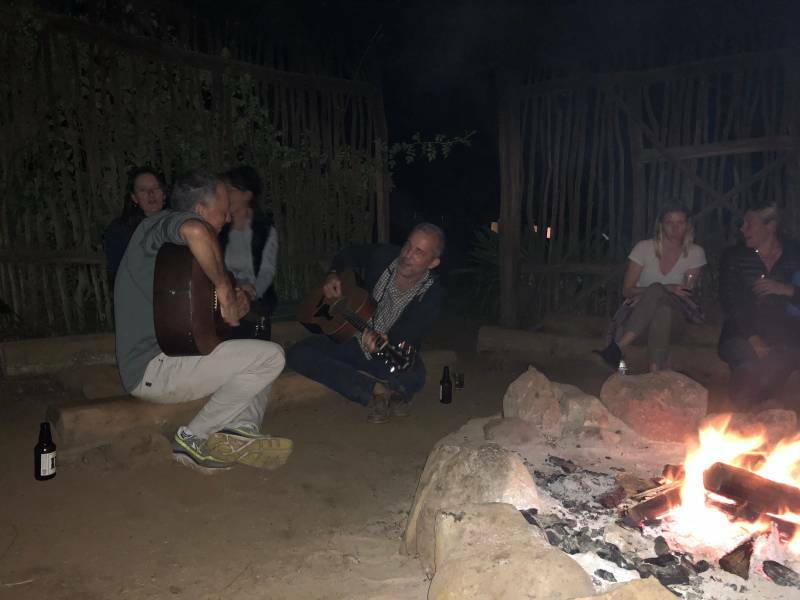 A campfire provided the heat, Matt and John entertained us with their great guitar skills, and conversations flowed ’til the wee hours of the night. A team that parties together stays together. A little bit of fun with a football. The days were warm, and the great outdoor setting was perfect for some football fun. Brenna didn’t let the girls down. Her throwing and football catching skills were on point. Best ideas come from beautiful destinations. Our open-air office for the afternoon. Our time on Kauai was well spent. Great ideas emerge and learning happens when people are relaxed and in sync with their team and the environment. Real estate is about people. The products are homes and condos, but our relationships are with our clients and our fellow agents. At Hawaii Life, we make sure that people come first and that we are the best that can be to help our clients purchase and sell real estate. Local knowledge, local relationships, and our common love for the Islands is how we are different. We love our Hawaii Life! If you have questions about Hawaii real estate, please don’t hesitate to contact me. What a treat to truly unplug and hone our craft as Realtors with everyone. I’ve learned so much and am so stoked to keep the relationships going – that’s what it’s all about! > Thank you Owen! I totally agree. Your show promotes overcrowding of Hawaii. Stop. If people couldn’t move here just to be realtors, what would they be? You’re selling Hawai’i out.